Today is day 23 of Na/GloPoWriMo (poetry writing month) and Earth Day. In ancient Greece, Uranus was “Father Sky,” husband of Gaia who was Mother Earth. 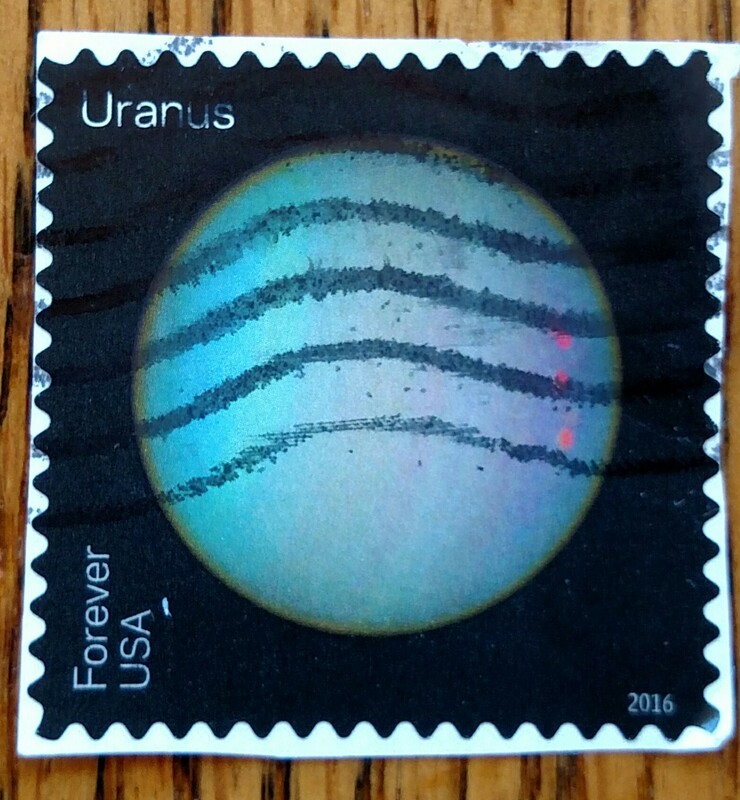 If we could talk to Uranus today, what would he tell us about the glories of our planet? Enjoy the poem. seeing the beauty of your one true love. in Uluru, in eagles, and Niagara falls. and gentleness in an aspen tree. Dawn’s calling is for her poetry to “light the gloomy corners of the world.” She writes custom poems life events important to you. Dawn also facilitates writing workshops both online and face-to-face, is a dynamic speaker on inspiration, innovation, change, and healing. Dawn believes in the power of poetry to process, to focus, to align, and to find our way to happiness and fulfillment. Thus, her business and her blog are called: create the dawn. This entry was posted in NaPoWriMo and tagged earth, Earth Day, Gaia, mother earth, planets, postage stamp, stamp, stamp collection, Ularu, Uranus. Bookmark the permalink. All Dawn's poems are licensed under a Creative Commons Attribution-NonCommercial-NoDerivs 3.0 Unported License. Is There Beauty in all Struggle?